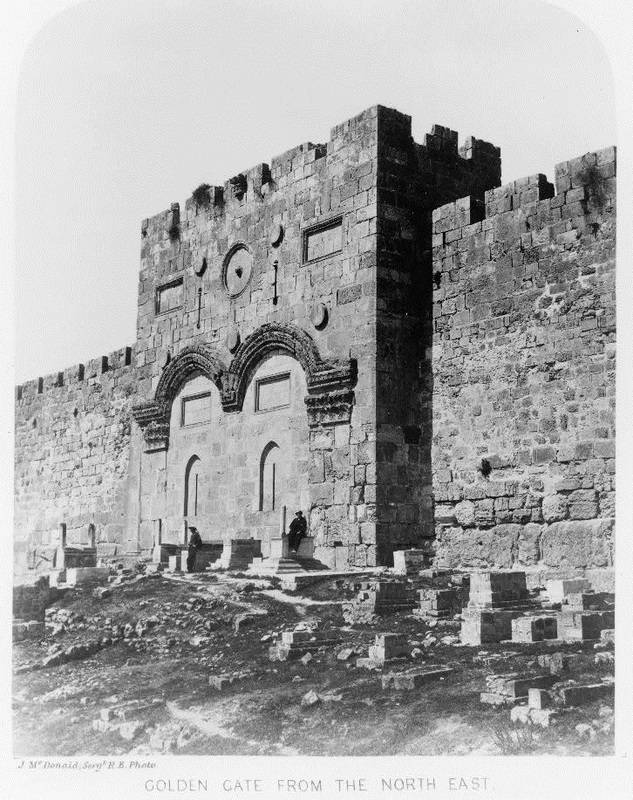 The Library of Congress has an amazing archive of antique photographs, including the 22,000 pictures taken by the American Colony Photographic Department in Jerusalem. It also contains photos by photographic pioneers and explorers who visited the Holy Land in the second half of the 19th century. Click on the captions to see the originals. ﻿One explorer was Captain Charles Wilson of the British Ordnance Survey and the Palestine Exploration Fund. Two of the pictures taken by Wilson's photographer, Sgt. J. M. McDonald, are available in the Library of Congress archives for researchers, but they had never been digitalized and made available on the Internet. Israel Daily Picture requested that the Library remove copyright restrictions on the 147-year-old photos. The pictures were posted on the Internet this week and appear here. The Library's site allows visitors to enlarge the photographs to see amazing details, in these cases more than 12 MB in size. 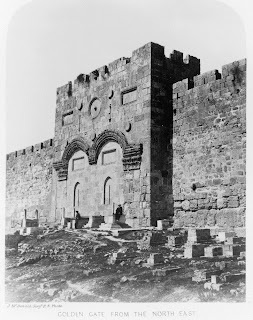 Other photos from Wilson's expedition appear in the Palestine Exploration Fund's gallery, and one picture of the Haram el-Sharif/Temple Mount and Western Wall appears here.